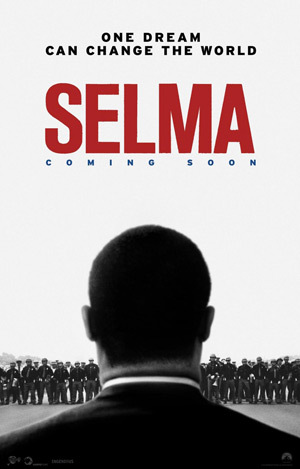 David Oyelowo, Tom Wilkinson and Cuba Gooding Jr. star in the Martin Luther King biopic drama Selma. Watch the movie trailer below. The story follows the struggles of Dr. Martin Luther King, Jr. (Oyelowo), President Johnson (Wilkinson) and the 60s civil rights marches that changed America. MPAA Rating: PG-13 for disturbing thematic material including violence, a suggestive moment, and brief strong language. “Selma” is the story of a movement. The film chronicles the tumultuous three-month period in 1965, when Dr. Martin Luther King, Jr. led a dangerous campaign to secure equal voting rights in the face of violent opposition. The epic march from Selma to Montgomery culminated in President Johnson (Tom Wilkinson) signing the Voting Rights Act of 1965, one of the most significant victories for the civil rights movement. Director Ava DuVernay’s “Selma” tells the story of how the revered leader and visionary Dr. Martin Luther King, Jr. (David Oyelowo) and his brothers and sisters in the movement prompted change that forever altered history.